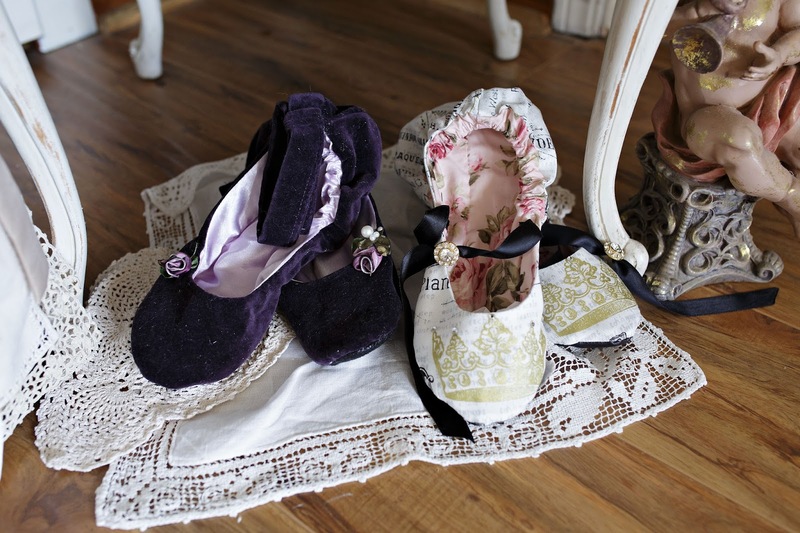 Thank you for taking a moment to visit and find out the story behind the shoes I make. 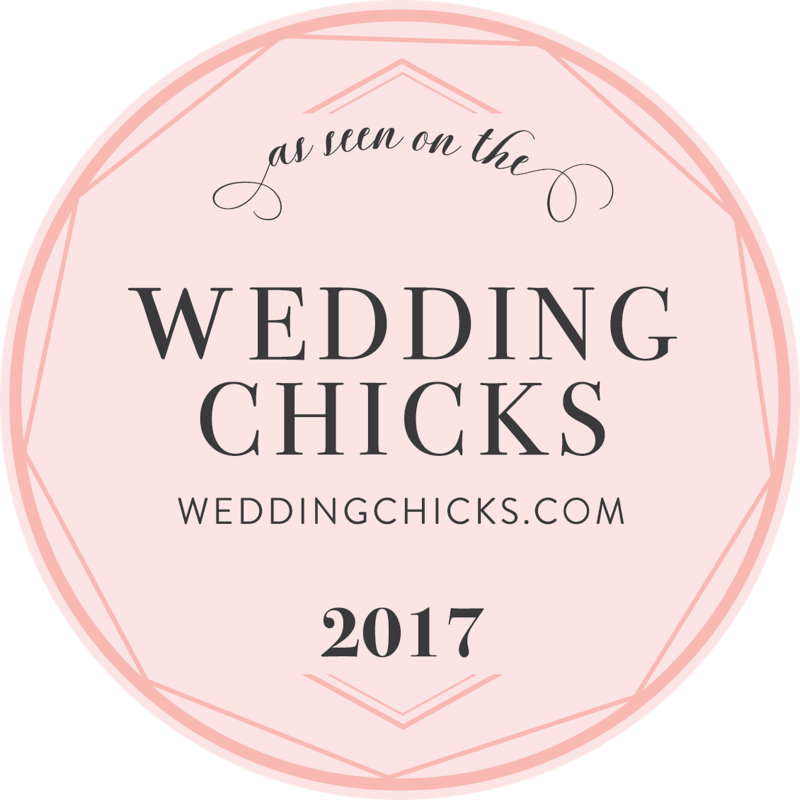 I remember looking for beautiful shoes to compliment my wedding gown , and comfort being high on my list of desires for my shoes. I knew I wanted to dance every dance, and enjoy every moment. I found many beautiful shoes, but nothing comfortable. 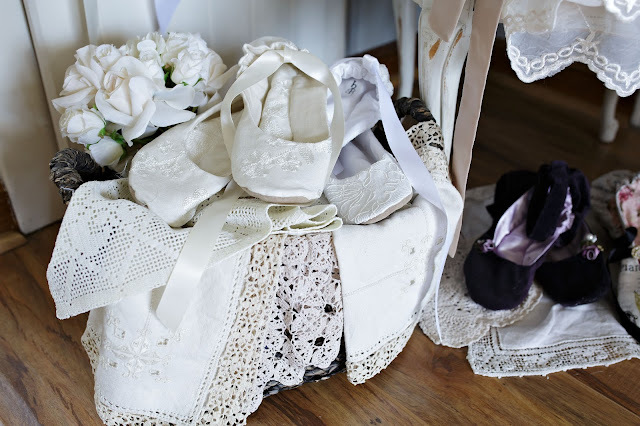 I wish I had, and so I decided to offer both beauty and comfort to brides who were looking for just that. When I began making shoes to offer in my Etsy Shop, I traced everyone’s foot that came through my door, and then measured and made shoes to work out my design and techniques. 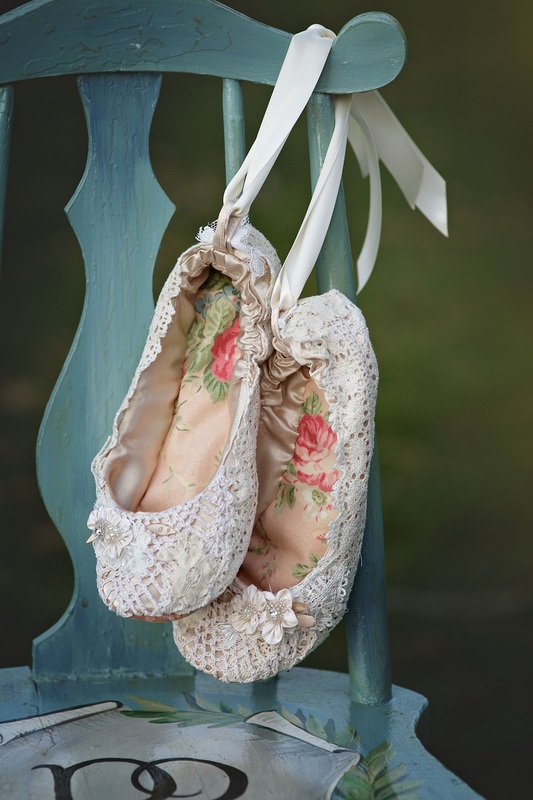 Once I felt confident with my work, I began to offer my bridal ballet shoes. I believe deeply in making a choice to....See beauty, and enjoy peace. For wedding shoes this means creating uniquely beautiful shoes which are unique to the bride wearing them. And it means purposing to make them comfortable, which gives great peace. Each pair of shoes are completely custom made. 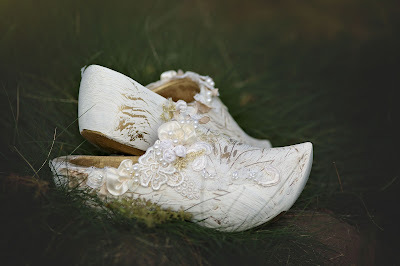 Specific measurements are taken, a custom pattern is created and I then begin the process of making the shoes. 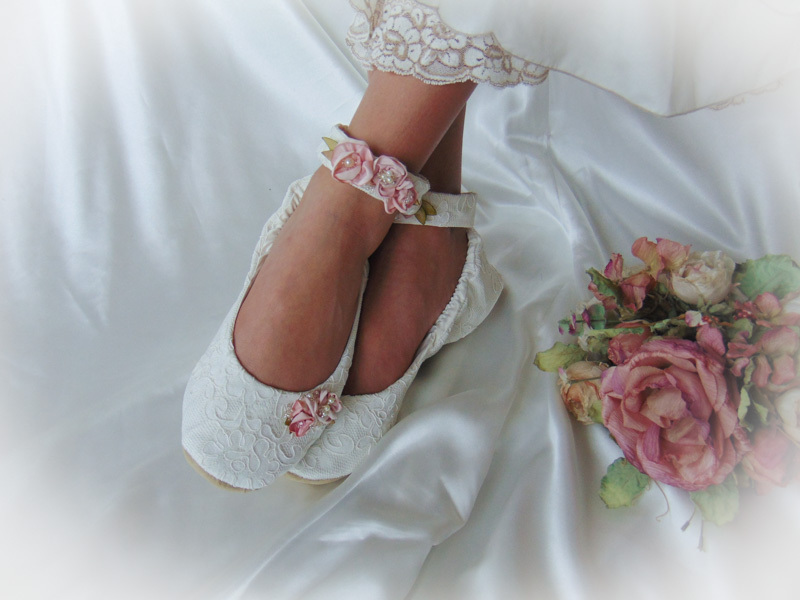 I want every bride who wears the shoes I make to enjoy every step she takes through her wedding day. I want her to dance every dance, to run to the joy before her and to wake up the next morning ready to step into a beautiful future. I want her first steps as Mrs. to be sure , confident and peaceful. No worries of tripping or falling , just focused on being his. No distraction. It’s all very metaphorical for the hope I have for each bride, for her married life. 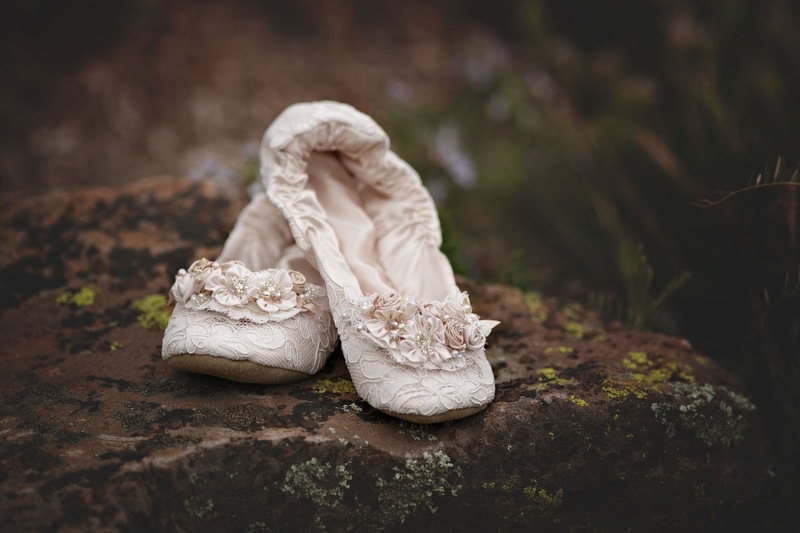 This set of shoes was made for a bride and her daughters. 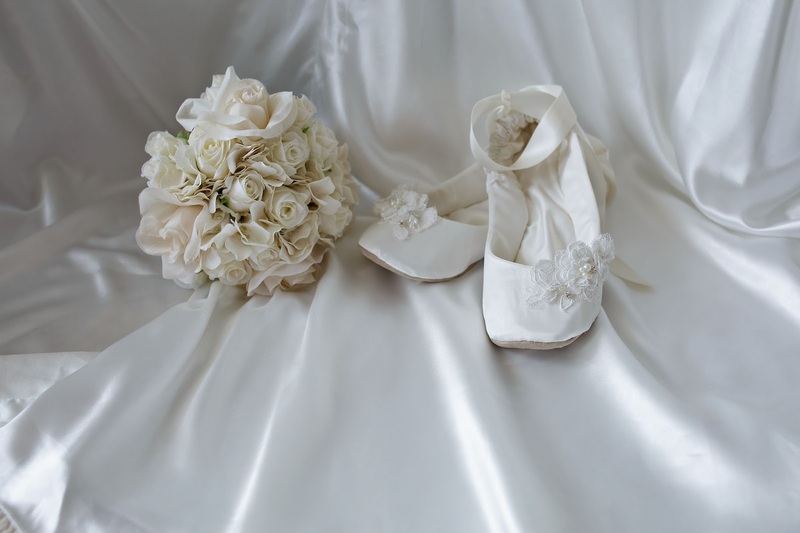 I offer many choices of velvets, laces and embroidered linens to create beautiful and unique shoes. I've wanted a pair of wooden shoes for as long as I can remember. I wasn't sure why, but I did. So when I happened upon a pair at an estate sale, I bought them. They were bright red, but just my size. I crackle painted them and embellished them with bits and pieces of gold and bridal lace, and my hand made flowers and leaves. I added pearls and beads, and I'm quite pleased with them, and now I know why. Recently my youngest daughter watched Snow White for the first time, and I had an epiphany. 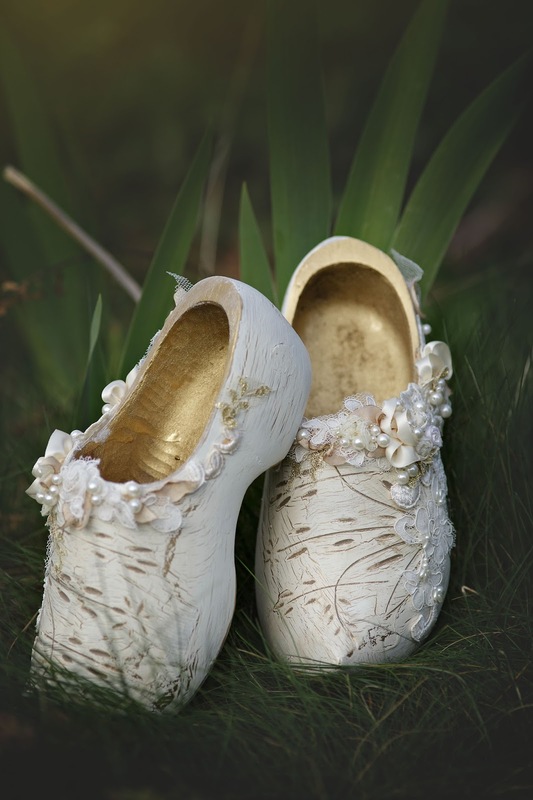 Snow White, that sweet example of joy, contentment, diligence, and forgiveness, wears wooden shoes as she sings her song by the well, as she's wishing and waiting for the one she loves. 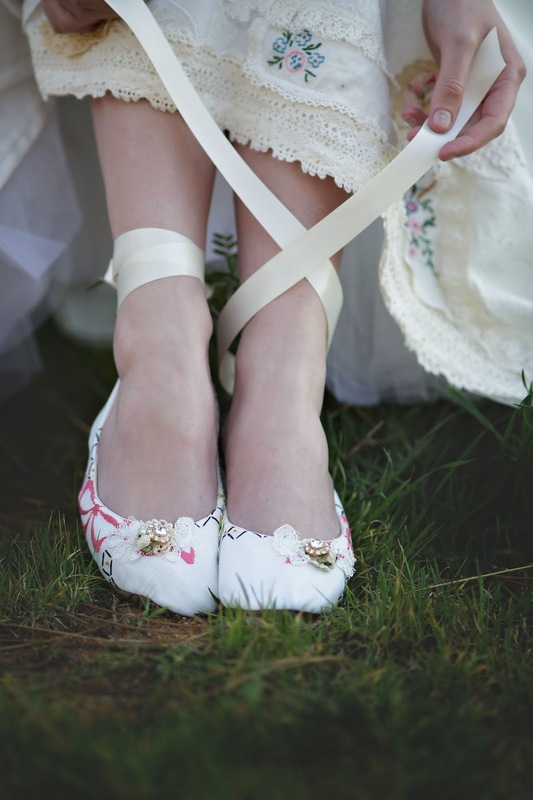 She must have made quite an impression on me as a little girl, because as a grown woman my heart wants to wear her shoes. As silly as it may seem, these shoes make me happy, and are a sweet reminder to be joyful, content, diligent and forgiving!